In addition to Bunny family adding the pattern for their Easter basket and daffodils. Dear friend Rhondda from oombawkadesign and her followers have made this special request that I couldn’t turn down. 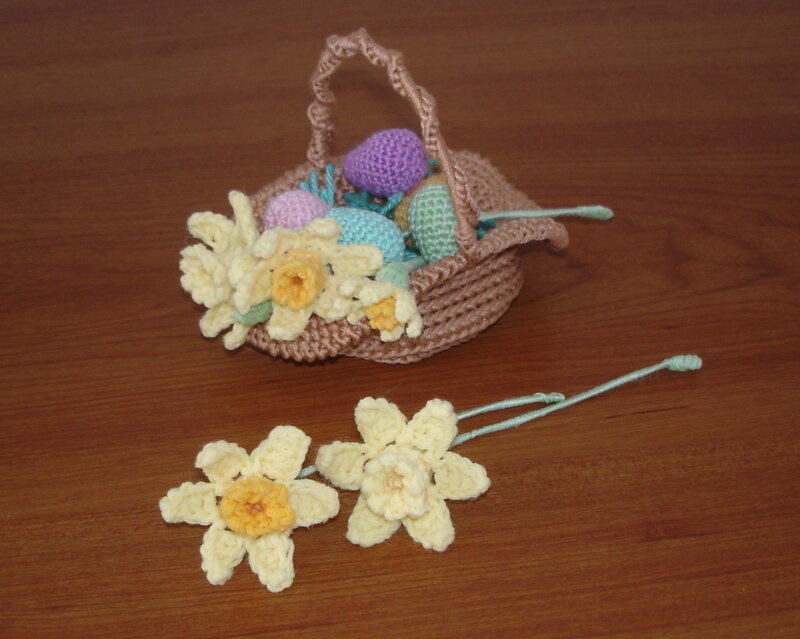 For them and all that love tiny baskets and beautiful daffodils here is the pattern! 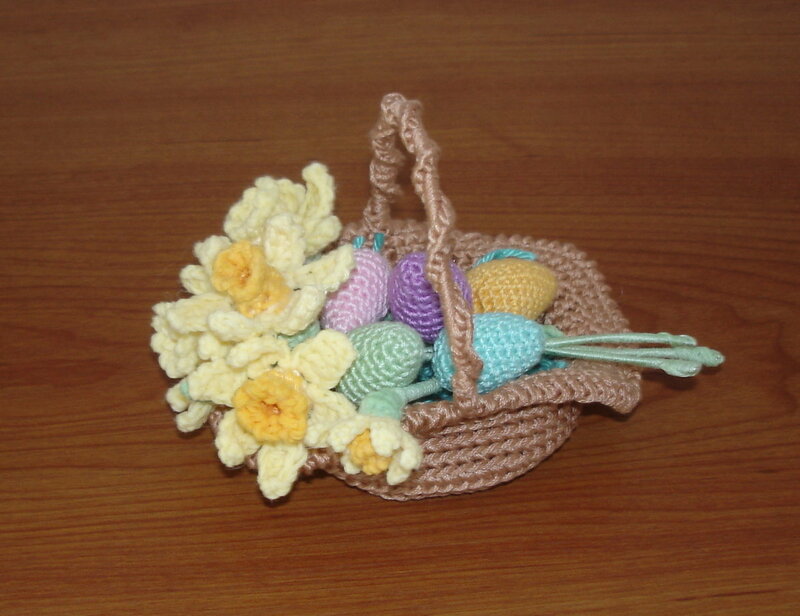 Basket and daffodils were crocheted with 2,00 mm crochet hook. Yarns are left overs of different yarns I had. 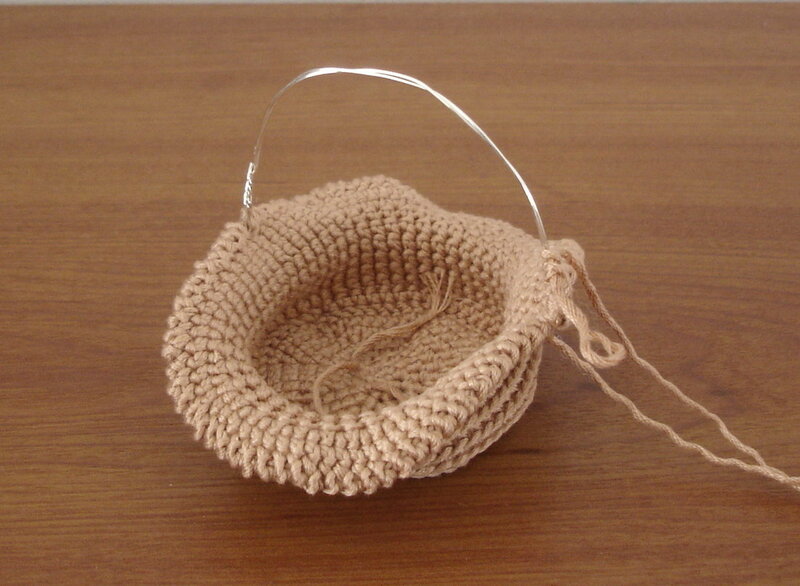 My basket is only 10 cm (4 inches) wide and 8 cm (3.1 inch) high. Daffodils measure 4 cm (1 1/2 inch) in diameter. Twist around crocheted work so it gives nice twisted look over the wire. R3 at this point you can change the color if you want the middle to be different (darker yellow color) or you can continue with the same. This makes our daffodil finished. I have made daffodils on wire. to do that you have to create the daffodil’s back. R1 sc to back loops of each of the stitches we skipped at R2 when making daffodil. R4 add some stuffing and prepare the wire you will push inside this piece (on wire end, that will be stuck inside the flower, make a tiny litle hook, that will hold on stuffing). Sc every second st. Tie off leaving pretty long end for wrapping the wire in yarn. Depending on what yarn you will work with, you might want to close this last round (instead of decreasing nad stitching) with needle. See what suits you better. At R4 all that matters is to close our work nicely, to add wire and wrap it in yarn. Push the wire inside the back of the flower, add some glue at this tiny opening so will hold the wire and yarn nice and firm, start wrapping the wire. When reaching the end, add some more glue to secure the end and finish off. And that is it. Your 3D daffodil is made. Use some fabric starch to form and model your daffodils to make them look nice. 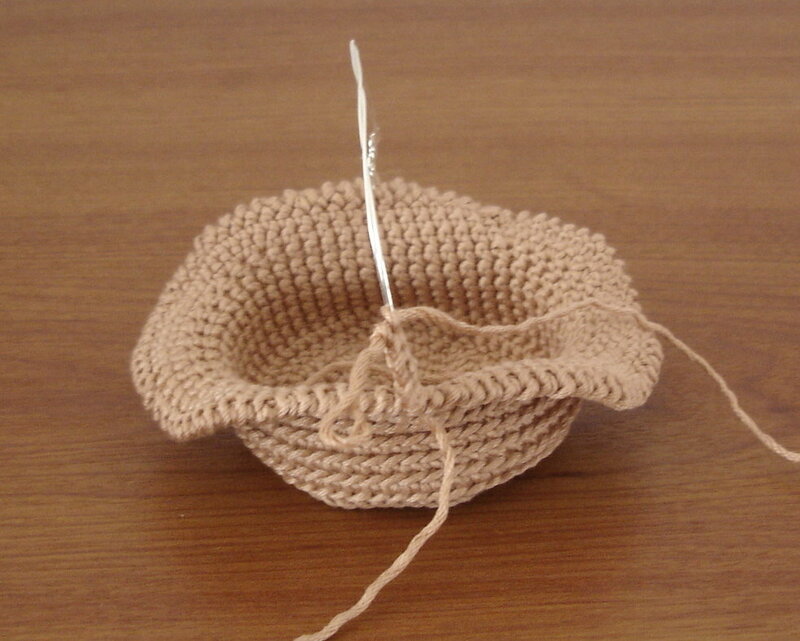 For the tiny eggs I have added in the basket haven’t posted the pattern. For each egg I made I tried out different pattern I found online (and there are many, many you can try). Eggs were done in thread and 1,5 mm hook. Hope you have enjoyed these two tiny projects and that will give them a try this Spring. Wishing you all happy end of the week! That is wonderful dear Jacqueline! I am always happy to hear about creative modifications on my patterns. I am sure your new doll is beautiful. Thank you so much for making these dolls and thank you even more for letting me know you liked it.